Does My Computer Need Anti-Virus Software? Does My Computer Need Anti-Virus Software? Its an age old question. In the last few weeks a very interesting article has been doing the rounds online by Ex Mozilla developer Robert O’Callahan called “Disable Your Antivirus Software (Except Microsoft’s)“. For home users, i’d be inclined to agree. I’ve been in the industry for over 13 years now and I’ve worked with a number of AV vendors including Sophos, Symantec, Kaspersky, ESET etc. Poorly designed AV software can be full of holes and vulnerabilities that don’t exist in the underling OS – this ironically, makes the system that the software is trying to protect more vulnerable. Misconfigured or badly designed security software can also cause havoc on networks where certain packages can be misdiagnosed as viruses or other security concerns. One recent example of AV causing unnecessary issues that I’ve experienced was when Symantec AV (after an update) decided that the inbuilt flash client for Chrome was a virus and refused to allow flash to auto-update. The irony of this is the flash update was needed to address a separate security advisory. Only once a patch was issued did everything resolve itself, but in the mean time there were a couple of hundred users all forced to use IE when accessing anything flash based. One of my old colleges, Kyle Marsh has also blogged about this on his new security blog and i’d agree with most of his recommendations – certainly in a home user environment. If you are a home user i’d believe in ditching whatever bloated AV product that you are running and stick with Microsoft’s Security Essentials. Sure, its not the best out there, but its lightweight and gets the job done with the minimum of fuss. However this is not without caveats.. you need to make sure that your software is up to date as well. This includes your OS (Windows etc), Microsoft Office, Chrome, Adobe Flash, IE etc. You also need (and I mean NEED) to have some kind of backup strategy in place, with ideally daily (or weekly at a push) backups onto some kind of external device should anything happen to your machine. So my answer to the question “Does My Computer Need Anti-Virus Software?” for a home user is as long as you have Security Essentials installed and running, and your system is up to date and backed up – then probably not. In a corporate IT environment, some kind of lightweight, centrally managed AV product is essential. I say this because the stakes are much higher. 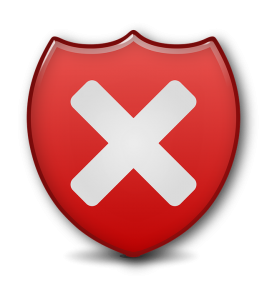 If you are only managing a single workstation and you get a virus – then its an inconvenience, but nothing more, to reload from a backup and carry on. However, if you have a hundred workstations, all infected and a file server that’s on its backside, then the game changes. Businesses can grind to a halt, staff can’t get paid – in some cases businesses never recover from this kind of outage and jobs are lost. Locked down profiles, so users cannot run authorised applications. I’ve used fairly lightweight solutions for business from vendors such as ESET for years with a good degree of reliability (my experience of some other vendors hasn’t been as good). 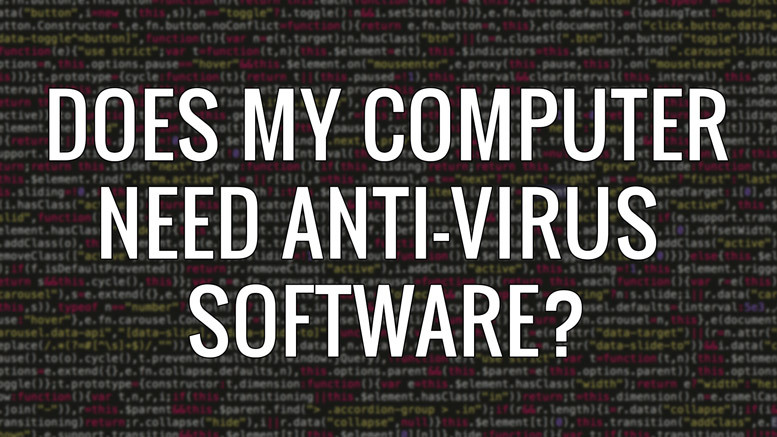 In a corporate or enterprise environment, my answer to the question “Does My Computer Need Anti-Virus Software?” is yes. Of course, user training into how to browse safely online is also essential as are regular updates on how to spot a phishing scam or malicious piece of software. The big point I think Kyle makes is about browsing habits. If you spend all day trying to find Game of Thrones torrents on the PirateBay or downloading the latest music charts from unscrupulous websites then you are going to get infected whatever flavour of AV you are using. These sites are rife with malware, viruses and all sorts of other crap that you really don’t need or want. Looks like you’ve been hit by ransomware.. In the IT world there is no such thing as a free lunch, there is always a catch. The catch may be that you need to provide an email address that’ll likely be sold on to online marketing companies (and you’ll be spammed forever) or the catch may be that there is a nice payload of malware hidden in the installer you’ve just downloaded. Regardless, its there. Keep your PC up-to date and secure and be careful online with your browsing, don’t be click happy. My advice will always be: “If the offer is too good to be true, then it isn’t”. As a power user, if I ever need to check out anything that i’d consider “a bit dodgy” then I tend to fire up a virtual machine (usually in Hyper-V or Virtual Box depending on if i’m on my windows laptop or Apple MacBook Pro) with a copy of Windows 7 or 8.1 on and test it out in this isolated, throwaway environment. If the software or link is legit and works without throwing up malware or virus alerts then after a bit of testing then this can be run on my main machine (after a suitable backup of course). If the sirens go off and the software is malicious, then I can just revert the virtual machine to an earlier state. These are just my thoughts on the matter as an industry professional are not to be taken as explicit advice or instructions. As with anything you read online, there are plenty of blog articles on either side of the fence. I suggest that you do some Googling and make up your own mind before taking appropriate, informed action. Be the first to comment on "Does My Computer Need Anti-Virus Software?"